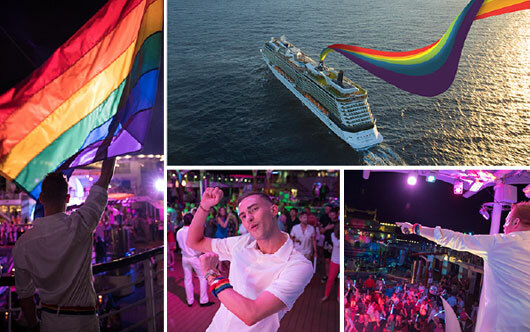 Celebrity Cruises is celebrating Pride Month by hosting its second annual Pride Party at Sea, with Olympic Bronze Medalist Adam Rippon and Two Time Men’s figure skating Olympian Johnny Weir serving as ambassadors for this year’s festivities. To kick off the party, Celebrity also hosted a pride parade at sea on board each ship. Festivities began on board Celebrity Constellation and Celebrity Reflection June 5 in Sicily, Italy, and Cartagena, Spain, respectively.